A colourful bathroom sticker that will bring a unique touch to your shower glass. If you are looking to redecorate your bathroom, why not start with your shower? 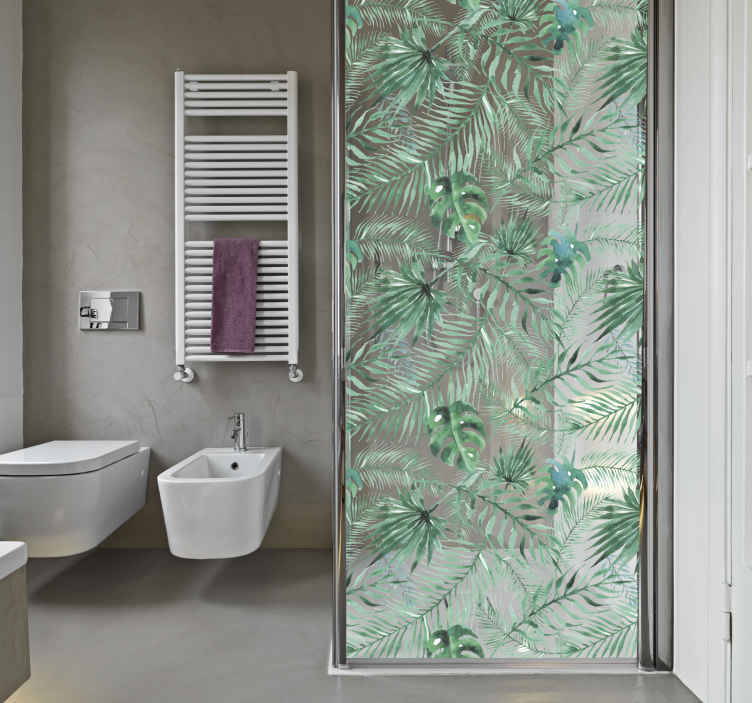 This shower screen sticker will make you feel as if you are taking a tropical shower in the Amazon Rainforest! The exotic sticker will change the atmosphere of your bathroom and bring you deep relaxation. Our waterproof stickers are easy to apply and made from anti-bubble vinyl. Just choose the size dimensions you want for the shower decal to fit the screen perfectly.